This week no new exiting band or first single off the new album. No. 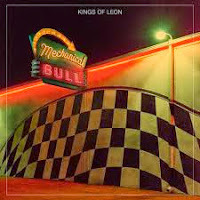 This week a band I've loved for years now with single #5 I think from their 2013 album 'Mechanical Bull'. And "Don't Matter" is a good song, but if the rumour is true, Kings Of Leon might be contender for next weeks disc as well since Wikipedia says "Family Tree" has also been released as a single this week. For now "Don't Matter" is our Love Of The Week for the week starting june 21st.